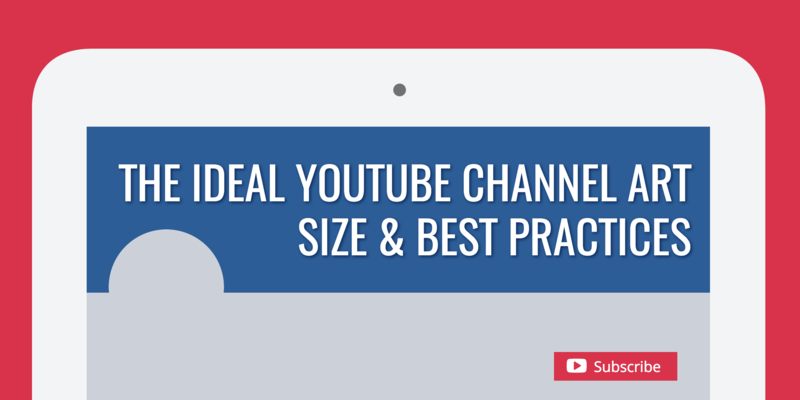 Optimize your YouTube channel art with these dimensions: 2560 pixels wide by 1440 pixels tall. 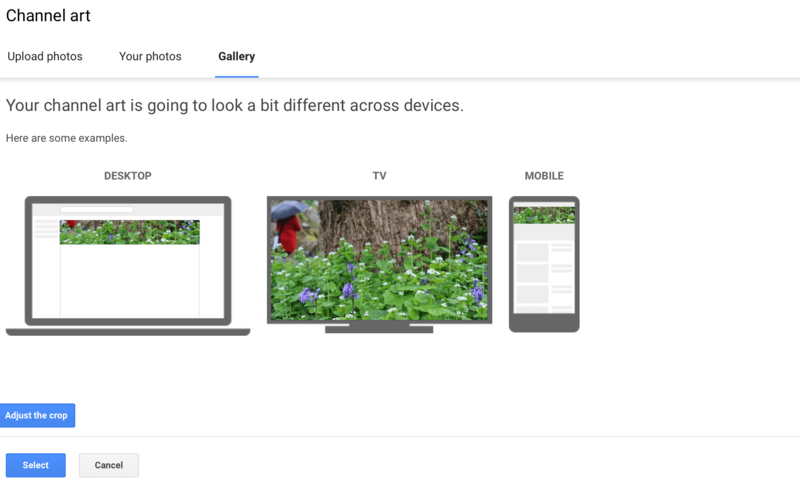 Keep in mind that channel art looks different on desktop, mobile, and TV displays. Video is hot right now, and since it’s going to stay that way for the foreseeable future, YouTube is a fantastic platform that more businesses should be using. While most businesses have optimized their Facebook Pages and Instagram profiles, a lot of small businesses neglect their YouTube accounts if they even actually have them. Fortunately, making your YouTube channel look incredible isn’t too difficult. The first step towards making your channel look great (and legitimate) is with high quality YouTube channel art. In this post, we’re going to discuss everything that has to do with these banners, including best YouTube channel art sizes, examples, and practices. 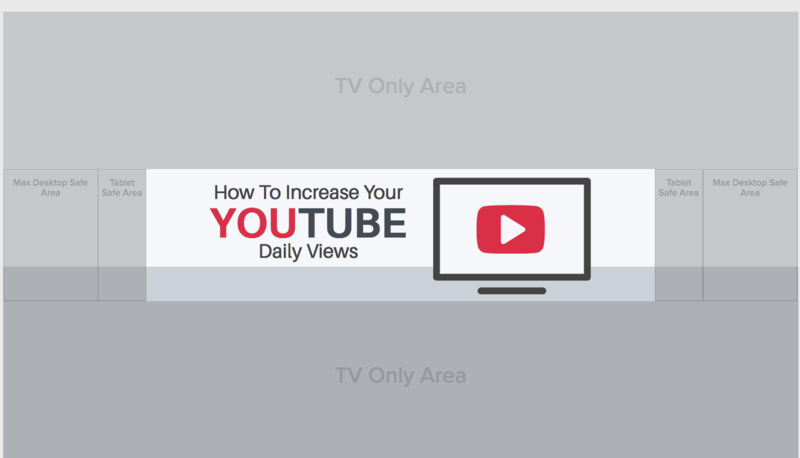 Bonus: We’ve integrated Youtube’s channel art dimensions and safe zones into our graphic design tool. Create a YouTube channel art for free! 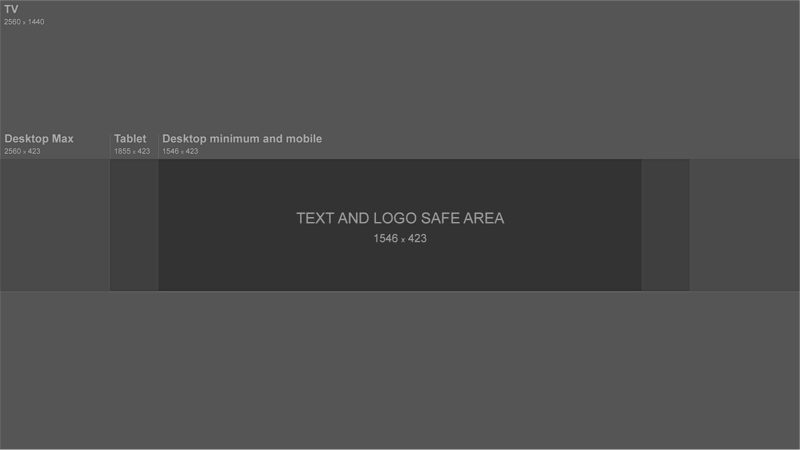 While using the 2560px by 1440px size ensures your channel art will fit properly on a TV screen, you also need to worry about how your channel art will look on desktops, tablets and mobile phones. 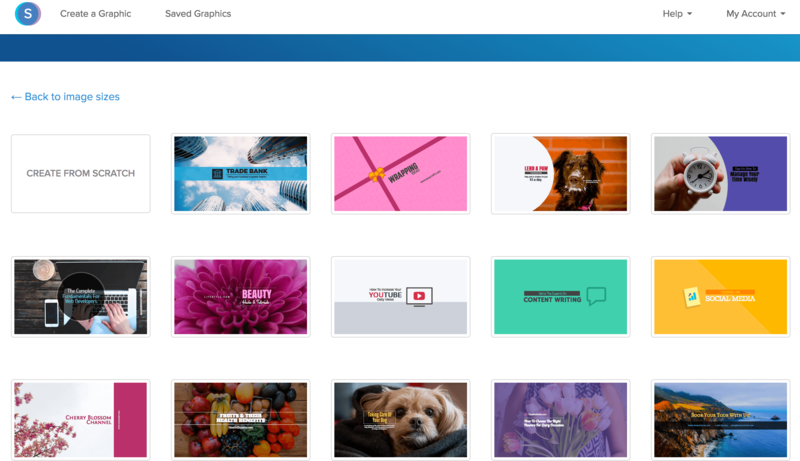 Check out the template below which demonstrates how your channel art will display across the varying devices. Again, these safe zones have been incorporated directly into Snappa. Don’t want to deal with wrestling with your banner to get it to the right size? 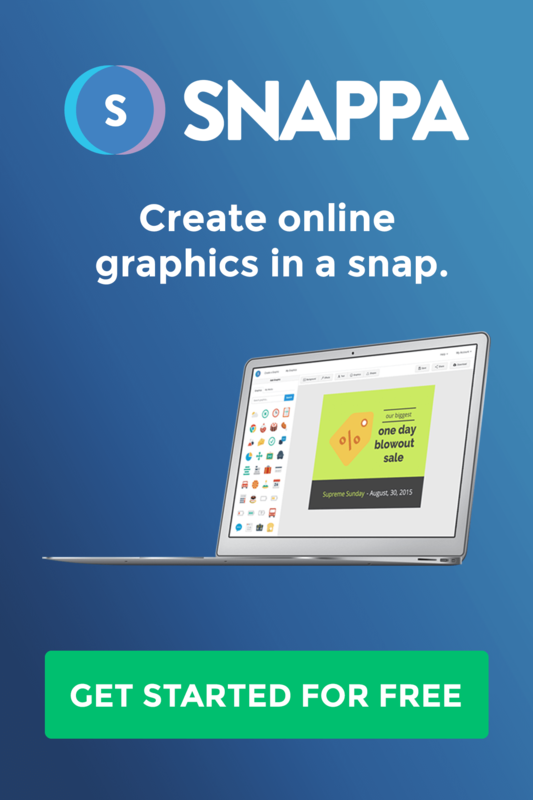 Snappa can help you there, and our drag-and-drop design software is easy to use even if you have zero graphic design experience. Here is a video we made to show you how to make YouTube channel art for your channel! To make things as simple and painless as possible, you can choose one of Snappa’s customizable, pre-sized YouTube channel art templates. These can be found under the “Headers” section in Snappa’s templates section, and will automatically be sized to the perfect YouTube channel art size. If you’re ready to create a free YouTube channel banner in less than 5 minutes! There are dozens of templates that you can choose from, all of which can be customized. When designing your channel art within Snappa, the software will automatically show you which areas will be visible on different screens. In the example below, you’ll see that the top and bottom portions of the screen are “TV Only Areas,” while both tablet and desktop safe areas are also indicated. This allows you to create designs that will look great on all devices, and you’ll never have to worry about the most important part of your design will be chopped off on phones or iPads. These YouTube channel art templates can be changed entirely. You can swap out stock photos, and add in (or eliminate) both design elements like shapes and graphics, and text. And while you can (and should) focus foremost on the visible-from-all-devices spaces in the center of the image, you can add nonessential design elements to the “TV only” or “desktop only” areas. Uploading your YouTube channel art just takes a few seconds. To add a YouTube banner, navigate to your YT channel. You can do this by going to your “Creator Studio” by clicking the channel icon on the top right of your screen. Then, click “View Channel” towards the top and center of the creator studio’s home page. On your channel’s page, you’ll see the option to “Add Channel Art.” Click the blue CTA giving you the option to do this. You’ll be given the option to choose from current photos you’ve saved or from a gallery of photos, or to upload a file from your computer. Once you do this, you’ll be shown a preview of how the banner will appear on all desktop, TV, and mobile devices. Snappa’s templates are designed so that the most important stuff will always be visible, but if you’re using your own image, you’ll likely want to manually adjust the crop. You can only adjust the crop, however, so that there is TV space above and below it; you can’t set the bottom left corner of an image as your desktop crop. Once you’re happy with it, all you have to do is hit save, and your YT channel art will be saved onto your profile. It can be changed at any time. What Should My YouTube Channel Art Design Be? Most businesses typically benefit from using the same or similar colors, font, logos, and taglines from their business. If your small business is just you, you could even have a picture of yourself in the channel art to give users someone they can easily relate to. A great example of this is Gary Vaynerchuk’s channel below. You can change your channel art to promote special events, like an upcoming webinar or an event your business is hosting. I’d recommend only doing this for major events that you really want to drive attendance to, and keeping your channel art consistent (and evergreen) the rest of the time. When it’s time to create your YouTube channel art, the sky is the limit. That being said, there are a few best practices that you should keep in mind so that you create a strong banner that represents your business well. When you’re designing your channel art, it’s easy to focus on that one tiny rectangle in the middle of the canvas and ignore everything else. This is a mistake, though. While you want your banner has nothing cut out on the smallest screens, you also want to make sure it looks fantastic on the largest screens your content can be viewed on. Using interesting but subtle background images is an easy way to make sure that the banner will look great on all devices. The art will take up the screen in a natural way, instead of looking like a bunch of empty space around a small rectangle of content. This is a good thing. When you view a YouTube channel’s banner art, you’ll notice that two things appear as overlays on the image on desktop: social sharing and website links, and the channel’s icon. You need to account for these when you create the image. You want your social sharing and site links to be prominent and easy to spot so users visit you on other platforms, but you also don’t want them to cover any crucial information or design elements in the channel art. Fortunately, we know exactly where these will be. The channel icon will show up on the upper left hand side of the banner (but not entirely tucked into the corner), and the social and website links will appear in the right hand bottom corner if you add them (which you should). Avoid putting any crucial information in these areas, and you’ll be just fine. Remember when we all struggled with uploading Facebook or Myspace profile pictures? We got the thumbnail size right, but when someone clicked it and opened it to “full size,” it was blurry and didn’t scale quite right. You don’t want that to happen with your YouTube channel art when it gets pulled up on a TV screen. There are two ways to avoid this. The first is to always start with images that follow YouTube’s recommended sizing guidelines, which we’ve discussed in a section above. By using that exact size and not one smaller but equivalent in proportion, your image will scale well on large screens. The second way to avoid this is to only use high quality (and, if possible, high resolution) images. That’s why Snappa’s library of stock photos and designs are all extremely high quality. The vast majority of users will see your channel only on desktop and/or mobile devices, and they’ll only see a small sliver of rectangle. The last thing you want is that banner to be so overwhelming and cluttered that they can’t even make out your logo or your social links. If you look at Snappa’s YouTube channel art templates all in a row (some of which are pictured above), you’ll notice that we do this through heavy utilization of negative space and clean lines. Even when background images are complex, the banner is kept grounded and organized with clean, simple shapes and text somewhere on it. Your YouTube profile picture is YouTube’s equivalent of a Facebook profile picture, and it’s determined by the Google+ profile picture associated with the YouTube account. It’s important to make sure that the channel icon works well with your channel art since the icon will be displayed near the top right hand corner of the banner. This can be seen in the example below on the Salesforce channel’s banner. 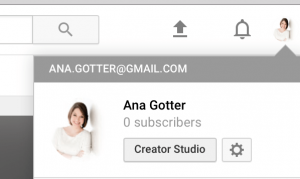 To change your channel icon, click to view your channel through the creator’s studio. When you hover your mouse over the icon, you’ll see the pencil that indicates the ability to edit it. When you click on this, you’ll be taken to the account’s Google+ profile so you can choose a new image. If you want your channel icon to stand out, you can use channel art that has colors that contrast from the icon, making it easier to draw the eye quickly. If you want it to blend in, on the other hand, you can use identical colors from the icon in the design so it has a more seamless look. The channel art below from SNL is an amazing example of this; the channel icon actually looks like it’s part of the channel art’s design. It blends in entirely. YouTube channel art is necessary to fully brand your channel, making it look both distinctive and more credible. 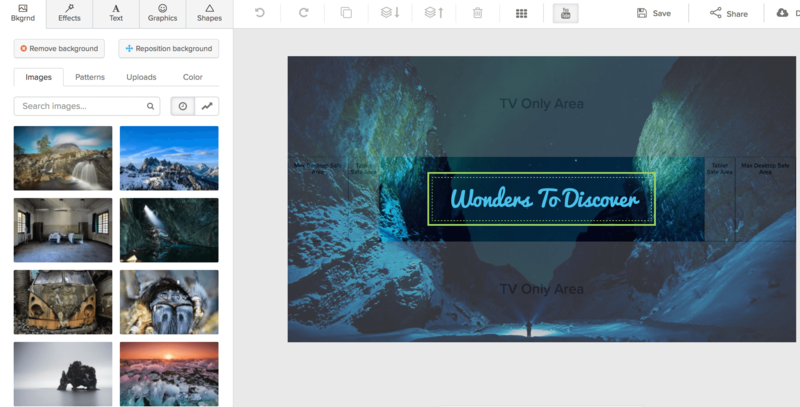 And now, thanks to easy-to-use tools like Snappa (which comes with fully customizable, pre-sized templates), anyone can make gorgeous, engaging channel art with no design experience needed. Remember to update your channel art every so often to keep it looking modern, especially if you change your business’s overall branding or the look of your YouTube channel. What do you think? What’s your favorite example of YouTube channel art? How do you make yours stand out? Leave us a comment and let us know what you think!